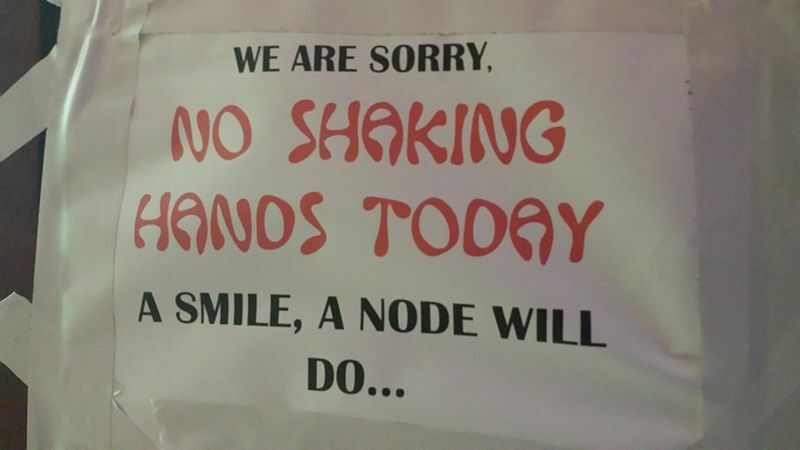 A sign posted at a Monrovia, Liberia radio station at the height of the Ebola outbreak in the region. The biggest global news story from this past week was the elimination of the Ebola virus from the African nation of Liberia. The World Health Organization has previously noted that the incubation period of Ebola is as many as 42 days, and a report from the New York Times confirms that Liberia has passed that 42-day threshold — the period between the release of that report and when the final safe burial of an Ebola victim took place within the country’s borders. This marks a success in Liberia but not the entire geographical region that was hit by the outbreak. Guinea and Sierra Leone have seen new cases of infection as early as this past week, reports Quartz, so there is still room for much caution in those countries and their neighbors as national officials, citizens, and doctors from across the globe still attempt to stay this outbreak. Her words and her gestures mark the success of her governmental policies that took place in the beginning of the epidemic. The act of shaking hands has, for more than a year, been the possible beginning of a deadly act. Any physical contact whatsoever could spread the disease, so people were warned to keep their distance. A state-wide quarantine is one of those policies; however, it did result in protests that New York Times for some citizens who ended up in conflict against Liberian security forces. The problems for Guinea and Sierra Leone could continue throughout its rainy season. The geographical spread of the disease is more contained than it was at the outbreak’s peak, but new cases still arise and will be problematic for officials trying to contain them. This will include becoming aware of new cases while also tracking down anyone who has had contact with infected individuals. Anyone in the chain of contact could be at risk themselves and could further spread infection throughout the region. There are also issues such as disease latency that could continue to affect everyone in the area. As reported at CBS, Dr. Ian Crozier, a doctor who was working with W.H.O. and who was diagnosed with Ebola in September, nearly went blind months later after a supposedly-cured infection resurfaced in his eye. Doctors found that fluid in Crozier’s eye contained the Ebola virus but that his tears and tissue outside his eye did not. For survivors in Liberia, cases such as Crozier’s represent a need for vigilance the likes of what Sirleaf talked about in her statement this past weekend. People in the region will still need to be cautious about engaging in skin-to-skin contact and will also need to keep watch of their own physical symptoms. The virus can remain dormant and resurface in a patient’s eyes; furthermore, there is evidence that transmission CBS can occur up to five months after an initial infection. The country, indeed the world, is not entirely in the clear. There is good news in the fact that Liberia has met a notable goal, but everyone there must remain aware of how their neighboring countries are faring and how their own health continues to progress in the months to come. Image courtesy of CDC Global via Wikimedia Commons.